Madeira is the wondrous and scenic island off the coast of Portugal. With more than 270,000 residents, the region is known for its meandering walking trails, exotic fruit and ample sea life. Madeira is also world-famous for its tantalizingly sweet wine. 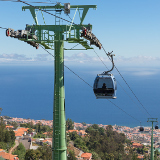 Famous attractions include Monte Cable Car, Madeira Botanical Gardens and Pico do Arieiro. Cheap flights to Madeira are now available for a limited period of time, so pack your bags and get ready to fall in love with this beautiful location! Madeira is home to Cristiano Ronaldo Madeira International Airport (FNC), which is located on a 22-minute drive from the city centre. Cristiano Ronaldo Madeira International Airport serves a multitude of airlines – including TAP Portugal, Swiss International Air Lines and Lufthansa. Popular connecting flights depart from Johannesburg and Cape Town. The flight duration is approximately 15 hours and 35 minutes. With so much more than just its famous Madeira wine, the mouth-watering bites that the city offers are something to behold. 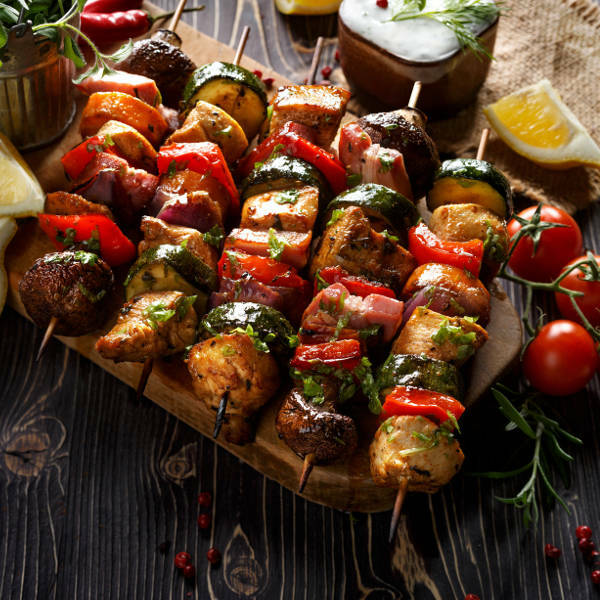 From exotic fruits to perfectly cooked meaty dishes such as “espetada”. There are few places better for whale and dolphin spotting than in Madeira. 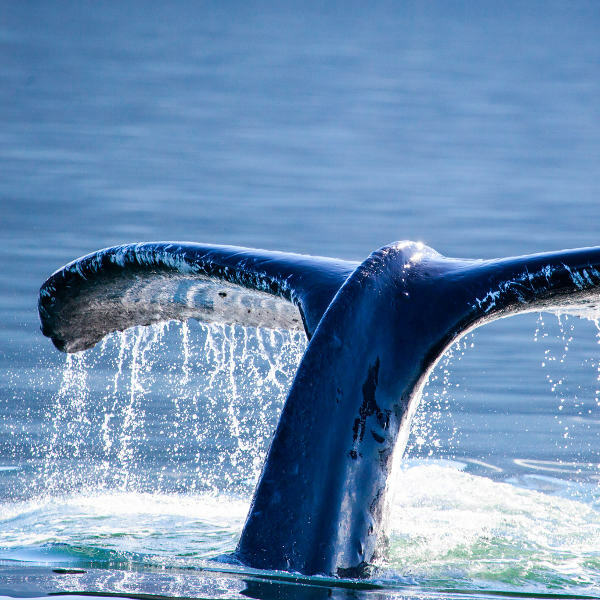 With 80 species of these marine mammals in the waters of the island, make sure you don’t forget your camera! 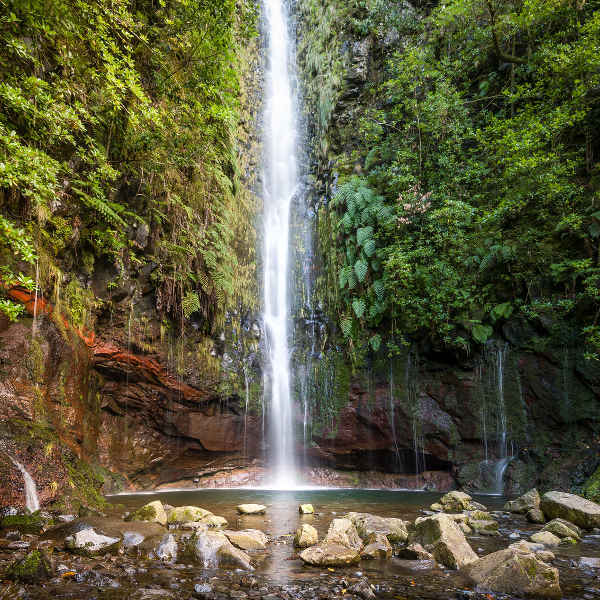 Enjoy the breathtaking scenery of the sub-tropical forests in Madeira while wandering on for hours in Madeira’s Laurisilva forest, a UNESCO World Heritage Site. For superb views of the coast, make your way to the top! 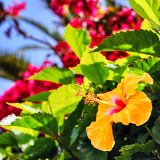 Famous for its fantastic botanical gardens, Madeira is most busy in spring (March to Mary). During this time the weather is warm and pleasant, and the aroma of sweet, wild flowers lingers in the air of the Monte Palace Tropical Gardens. The weather is moderate all year, with winter almost as popular as summer. Tourists flock to the city over the wintery festive season as Madeira is known to have one of the best New Year’s Eve fireworks displays in the world. For cheap flights to Madeira, consider travelling to the city between September and November. Madeira is most famous for its sweet Madeira wine, but it’s also known for its exotic fruits, nuts and vegetables that can be found on most street corners. Make sure to have it with a drink unique to the island, Poncha. Though its beautiful beaches call, don’t forget to appreciate something even more spectacular on the island – the hills and mountainous areas. 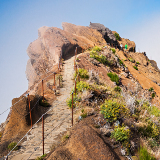 Hiking and taking the cable car up Pico do Arieiro promises beautiful views of Madeira’s capital city and the surrounding areas. What better, or more exciting way to see the capital city of Madeira, Funchal, than by tobogganing down the curvy hill of Monte? This has been an attraction and means of transportation since the 1850s! Don’t worry though, there are two “drivers”” to guide you down. Madeira’s second most popular island, Porto Santo is beautiful too. Though small, the beaches and velvety, soft sand make up for it and invite guests to spend their days lounging in the sun. What’s special about this island is that with only a handful of hotels, only a lucky few spend their time there. If visiting Madeira, do yourself a favour and take the 15-minute flight to this European gem. The Savage Islands, forming part of the archipelago of Madeira are known for their indigenous bird selection and is only inhabited by conservationists and one or two local families. Desertas, the fourth island part of Madeira, is much left unknown and is only home to a selection of wildlife. Compare several airlines, and book your cheap flights to Madeira online with Travelstart! South Africans who wish to visit Madeira will need to apply for a Schengen Visa, as Portugal falls under Schengen territory. You will need to apply at the Portuguese Embassy for your Schengen Visa. You will need two photographs, proof of accommodation in Madeira, flight tickets, bank statements, and various other documents to complete your application. Madeira is a safe island with very few crimes, other than very petty ones reported. It is an all-year-long, top tourist destination so there are always people around. It is always a good idea to be aware of your surroundings and not partake in any dangerous activities, such as cliff jumping into rivers or swimming solo at a deserted beach. Also, some of the hiking trails can be dangerous during the winter time. Do not attempt them on your own. Depending on your plans in Madeira, you might want to book more than one place on the island for your stay there. Funchal is the capital city and also most central to main attractions. There are various types of accommodation available, depending on your budget. Just make sure to book early as it does get busy over the spring and summer seasons. The areas of Lido and Ribiera Brava are also good options, if you’ll be hiring a car. Most travellers to Madeira use the bus system in the capital of Funchal as it is reliable and affordable. There are also taxis in the city/town areas which can be hailed form the street. If you’re planning on doing lots of mountain walking around the island then it might be a good idea to hire a car as not all buses frequent the walking trail routes. To travel to Porto Santo, there is a 45-minute ferry or a 15-minute trip by air.